Dwayne Johnson joins the team with his San Andreas co-star Alexandra Daddario as the new lifeguards on duty alongside Zac Efron. Baywatch first aired on NBC in 1989 with original cast include David Hasselhoff, Parker Stevenson, Brandon Call, Erika Eleniak and more. The show was cancelled after one season but returned to the airwaves in 1991 lasted for a decade. The show brought new cast including Yasmine Bleeth and Pamela Anderson. Baywatch movie hits theaters May 26, 2017. 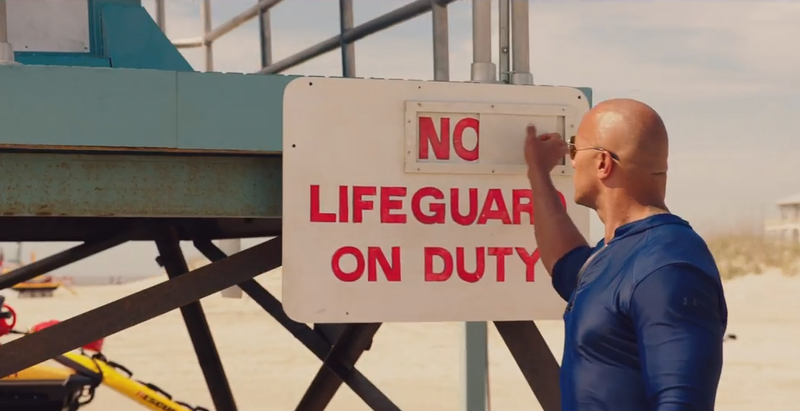 What do you think of the Baywatch trailer? Are you planning to see it on the big screen? Sound off in comments!